A dust storm blew through Denton and other parts of North Texas Sunday evening, stirring up pollen and allergies for many residents. 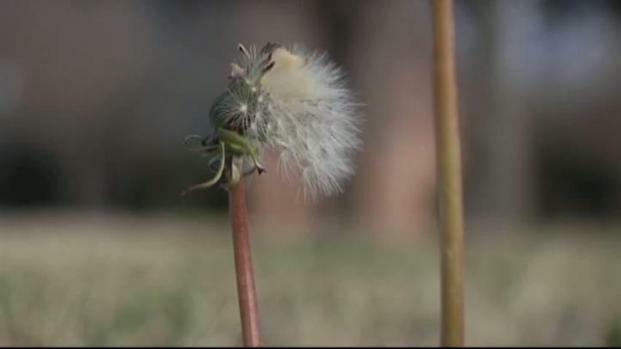 Monday's clear skies masked the way some allergy sufferers feel. "I don't know if you can tell, but I have some congestion today because I suffer from allergies. It was just gross," Denton resident Melissa Mitchell said. The dust storm caught many people by surprise. Strong winds carrying dust and pollen from West Texas and Mexico this past weekend created several respiratory issues. "I was at church, and I look out the windows, and it's just foggy outside and you think it had to be a mist or something, but I guess it was dust," Denton resident Bryan McClain said. Dr. Sven Wust is an allergist in Denton. He knew he would be busy when he saw dust on the horizon. "I think to myself, I am going to have a lot of patients coming in with increased respiratory symptoms. Itchy, watery eyes, sneezing, sometimes coughing and wheezing," Wust said. Doctors like Wust said last night's storm was more than just dust, creating an irritating situation for allergy sufferers. "It not only blew in a bunch of dust, but it blew in a lot of pollen, mountain cedar in particular, and that caused an increase in allergy symptoms than we typically see in dust storms," Wust said. Experts said the expected rainfall should clear the atmosphere of dust.